Originally published in the September 2007 issue of the Laney Defender. 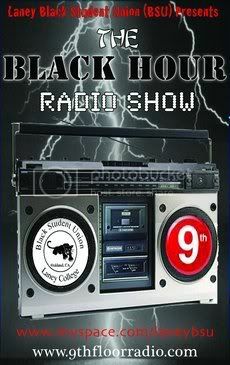 "Black Student Union of Laney College"
The Laney Black Student Union (Laney BSU) is the official voice of the African-American students of Laney College in Oakland, California. The Laney BSU is an officially recognized student organization charted by the Associated Students of Laney College (ASLC). We are also affiliated with the Black Caucus California Student Association of Community Colleges, a statewide student-run organization for community college students of African descent. Unity is the primary objective of the organization; however, just bringing students together is not our end goal. Unity is a means to an end. Ultimately, we seek to unify students to organize them for the collective advancement of our people, meaning complete freedom, justice and equality. This website will provide you with more information about our organization, what issues we are addressing and how we are addressing them with programs. We also have an active calendar of campus events and meetings, as well as Laney BSU news. Additionally, you can also join the Laney BSU and other ways to contact us.